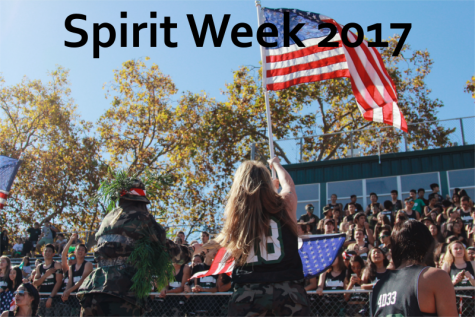 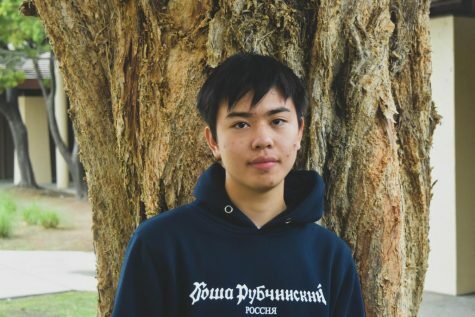 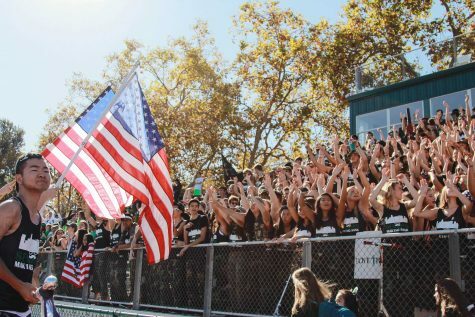 With Palo Alto High School’s Spirit Week coming to a close tomorrow, Day Five will feature all Paly students wearing green and white, and seniors in their camo. 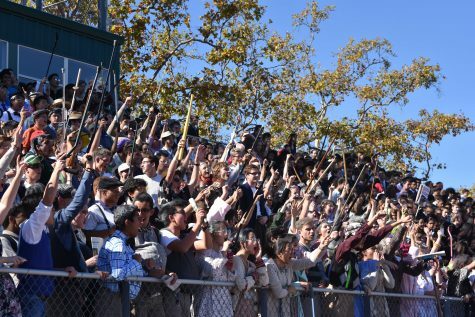 The daily lunchtime rally will consist of activities such as “Hula Hoop Ring” and “Water Pour,” according to senior class vice president Michaela Fogarty. 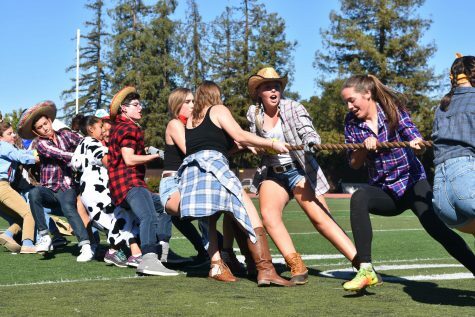 “Tomorrow we have the hula hoop race where a line of people has to jump through a hula hoop without letting go of each other’s hands,” Fogarty said. 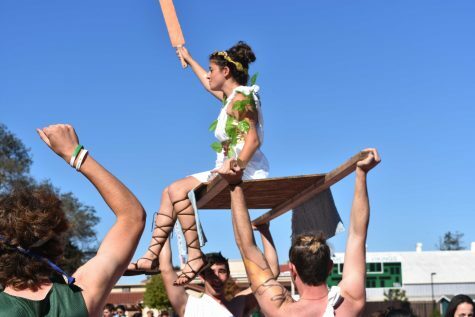 The afternoon will continue with the a final rally on the football field at 2:45 p.m. where each class will demonstrate their spirit and enthusiasm, along with the float projects they have been working on during the past week. 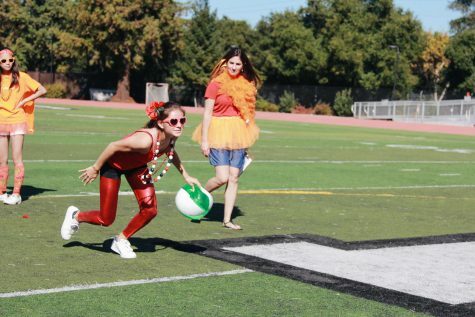 In addition, each grade will perform their spirit dances. 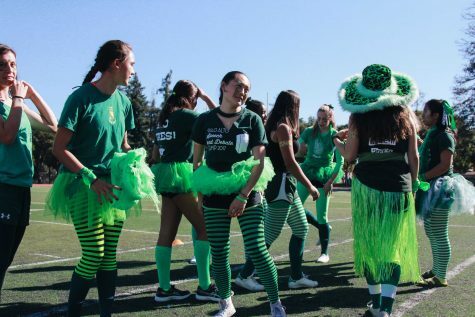 “After school tomorrow there is another rally where grades will perform their dances and present their floats that they have been working on,” Fogarty said. 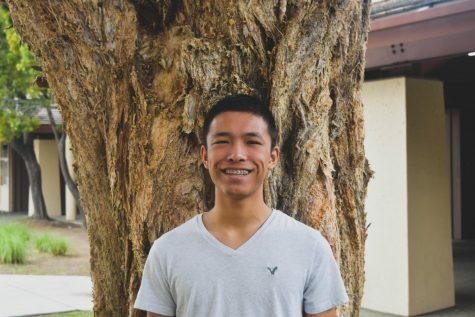 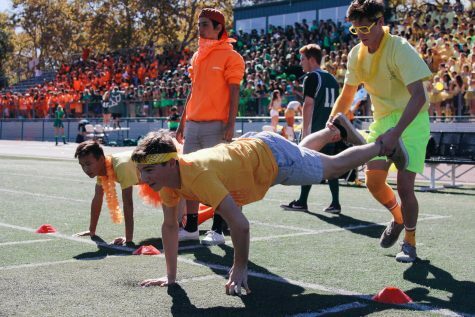 Although Day Five of Spirit Week will conclude with exciting rallies, many seniors feel nostalgic about the conclusion of their final Spirit Week, such as senior Miguel Moreno. 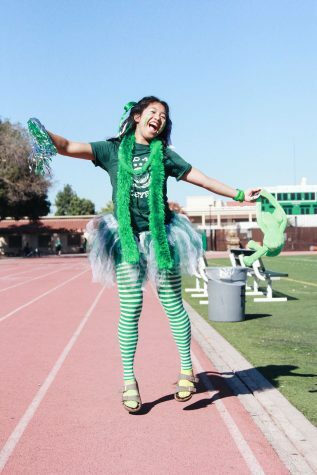 “I’m really excited, but also sad because it’s the last day of my last Spirit Week at Paly,” Moreno said.